Also known as charting, technical analysis is a market analysis technique that uses charts of previous stock price movements and trading volumes to help predict future price movements. Technical analysis can be a useful investment tool, but if you rely too heavily on it-or any other single facet of investing-you have little chance of profiting consistently.” Focusing too heavily on technical analysis in our opinion is sure to lead you to lose money, in the long term if not in the short. But we’d say the same thing about focusing on p/e ratios, or dividend yields, or the number of patents a company owns. You need to look at the overall picture, rather than confine your view to your favourite selection of easily accessible statistical information. That’s the trouble with zeroing in on any single facet of investing. With a narrow view, you can get lucky and make a handful of brilliant trades. But to profit consistently in a long investing career, much less make any serious money, you have to take a broad view of the market and economy, you have to learn how to single out stocks that will go up and stay up, and you have to learn to diversify. Many investors are well past age 35 when they make that essential discovery. The key to profiting from technical analysis is to avoid looking to the pattern on the chart for a prediction of what’s going to happen. Instead, see if the chart seems to support your view of the stock, based on its finances and other fundamentals. 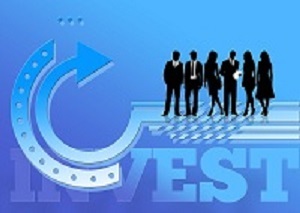 To succeed as an investor, you have to take a broad view in making investment decisions. Technical analysis and other narrow views do sometimes seem to “work” for lengthy periods, of course. But they only work for a minority of the time, and they never work consistently. Instead, they run hot and cold. As with all random events, their successes occur in bunches. Q: Hi, folks. What are your feelings about the Relative Strength Indicator as a tool to assist with the buying/selling puzzle? Thanks. A: Technical analysis is the process of analyzing a stock’s past and historical price movements to attempt to determine future prices. Some investors rely on technical analysis (basically, chart reading) when they choose stocks. This seems simpler than researching a company’s fundamentals. That analysis just zeroes in on how stock prices have behaved in the past and any clues that patterns may offer about future price movements.